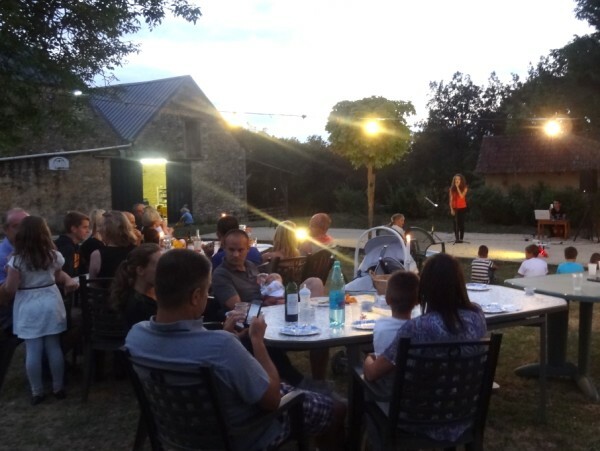 Well, it’s been some week – a week of firsts on many counts…..
Tuesday evening saw Emma singing at someone else’s gites – that was a first. 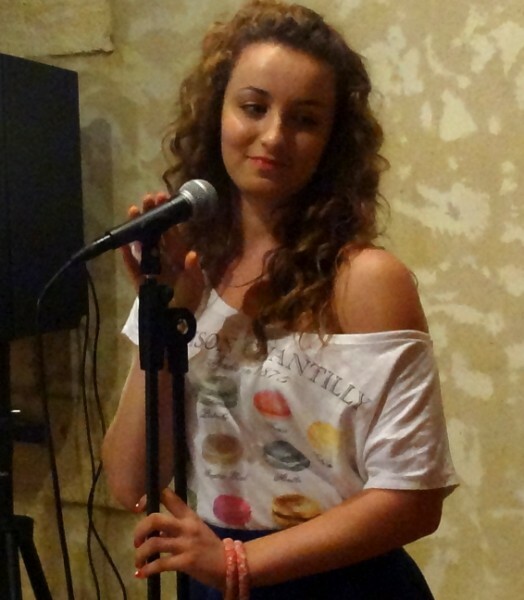 She had been “spotted” singing at the Feu de St Jean in June and they had asked her to sing at a meal they were having. It was while we were there that the storm brewed. At first it was quite a pleasing show – our own private fireworks set to music. Then it got serious. I can honestly say I have never seen anything like it. Definitely a first. 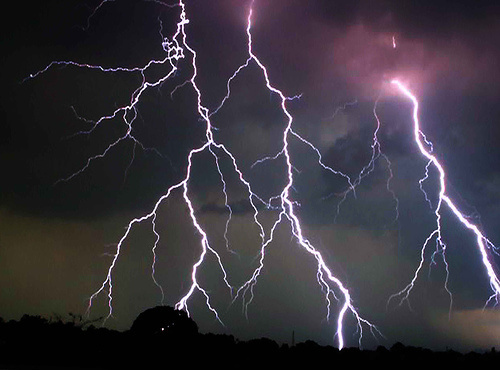 Massive claps of thunder and forked lightning from all directions – a 360° light show extravganza. I have never been so capitvated or petrified in such equal measures. Neither my camera nor my nerves were capable of taking worthy photos but I swear it was exactly like the photo below and then some, and it went on for hours. With Emma surrounded by electrical gadgets and singing beside the swimming pool, neither a brilliant idea when the air is charged with millions of angry volts looking for a way to vent their frustration, we were glad to call it a day and set off home. The hair raising 10 minute journey seemed to take forever – no idea why but maybe we were thinking that driving slowly was a better way to negotiate the lightning forks. Once home we drove straight across the pitch & putt course to close up the henhouse then back up to the safety of the house, forgetting completely that we hadn’t dismantled the parasols at the pool. By now, as well as the thunder & lightning, Amar’s much coveted rain was bouncing off the ground at huge speed – never was the phrase “Be careful what you wish for” as apt as now. No way were we going back out and as we feared, we ended up in the early hours of the morning fishing sunbeds & parasols out of the pool. In the middle of all of this the power went off – and didn’t come back on again for 36 hours. Another first and very frustrating for everyone. With the whole region affected EDF were stretched – all we could do was wait it out and hand out emergency candle supplies. Thank goodness for all our lovely guests who took it all in their stride including the children who were only mildly put out when the chargers on their electronic gizmos started to run dry! 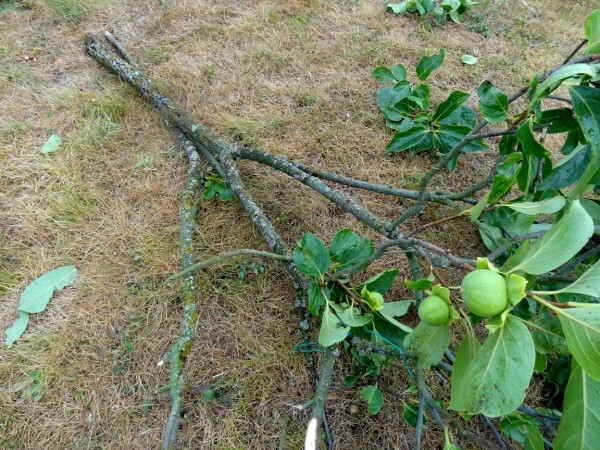 We got off lightly compared to some , with only a broken Sharon Fruit tree to mourn. The surrounding fallen walnut trees, flattened corn fields and battered fences were a bigger testament to Nature’s cruelty. But onwards & upwards and with 5 of this week’s 7 families here for at least the second time, Thursday saw us planning another communal event. 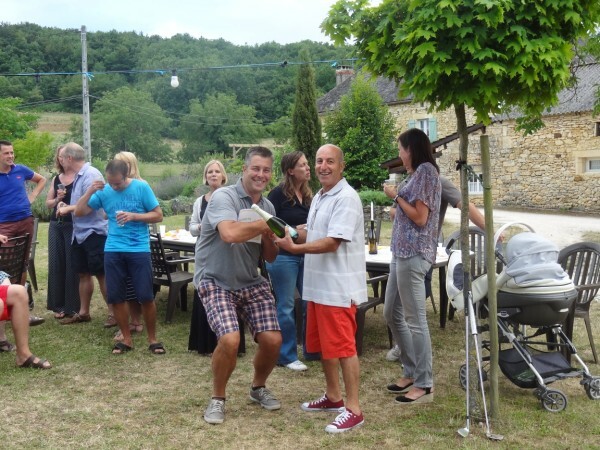 Golf tournament winner 2013 -Olivier Delmoy!! Now we are looking forward to Monday’s meteor shower and hopefully a good display of shooting stars…..all of the pleasure of another fantastic light show but this time with none of the inconvieniences of Tuesday night’s spectacular display!! looks like much fun to be had at Les Crouquets!